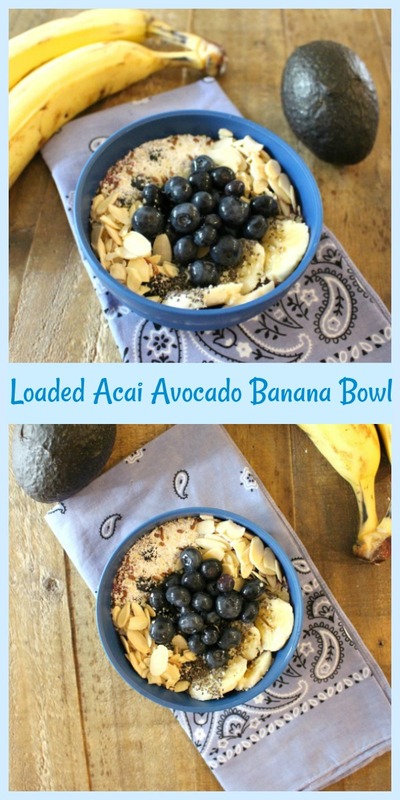 Loaded Acai Avocado Banana Bowl – Acai is a fantastic superfood that’s become very popular lately. 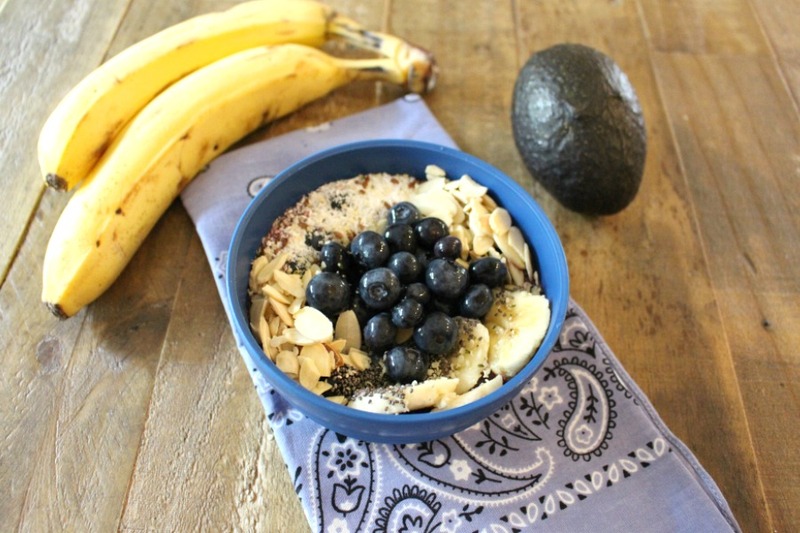 Try this simple recipe for a refreshing breakfast, snack or lunch. 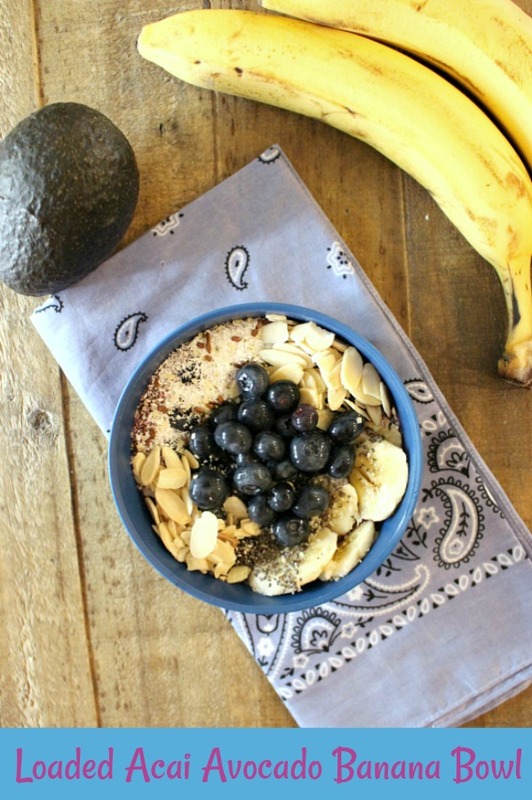 A bowl filled with super foods that taste delicious. Enjoy to your health! Have you heard of Acai before? If not, you will be so happy when you do. It’s become very popular in the last few years. A friend introduced me to this amazing recipe in a vegan cafe over the summer. Now I’m sharing it with you. My kids love this and so does my husband. So, introducing a nutrient dense acai bowl with added banana for a smooth texture and avocado also for a smooth texture and boost of healthy fats. Topped with an array of different fruits and nuts for lots of textures and crunch and more healthy nutrients with incredible great taste. 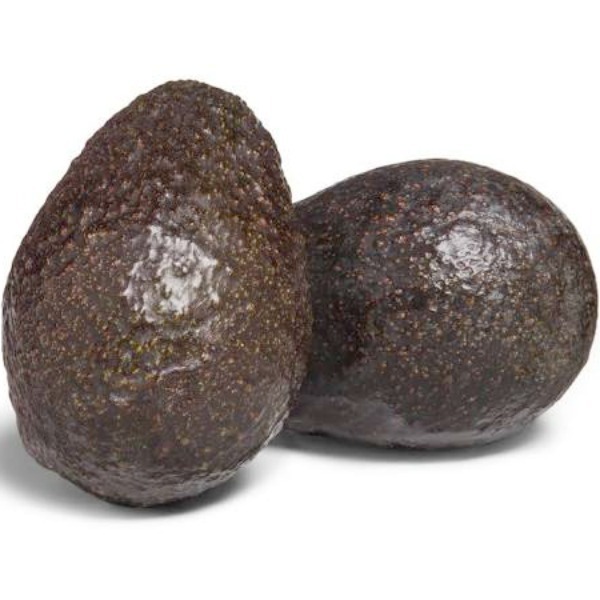 1/4 medium avocado, save the rest of the avocado with the pit still intact. Drizzle lemon or lime juice over and wrap tightly. Eat for lunch the same day for best taste. 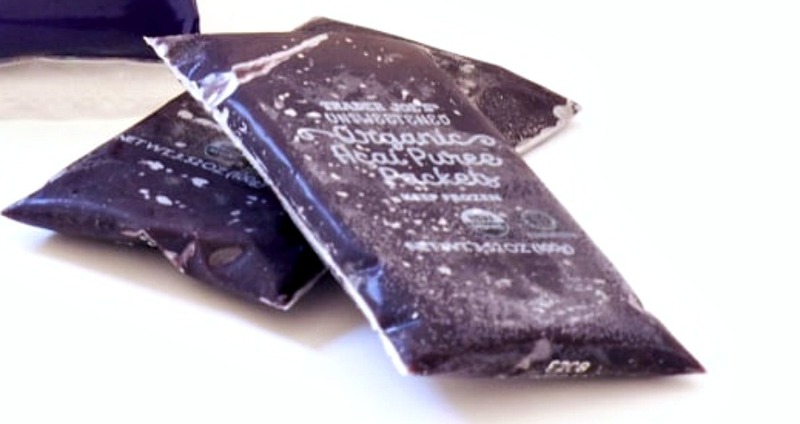 Follow directions on package of Acai for slightly defrosting. I run the packet under warm water. In a blender add the acai puree, avocado, half of the banana, honey and water or orange juice. Whirl until blended. Pour in a small bowl. Top with berries, nuts, coconut, chia seed, flaxseeds, wheat germ if using and the other half of banana that’s been sliced. That’s it, enjoy this healthy recipe and see and taste the deliciousness that everyone’s talking about. 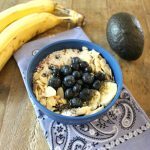 Sure to become a favorite breakfast, snack, or lunch! Acai is a fantastic super food that’s become very popular lately. 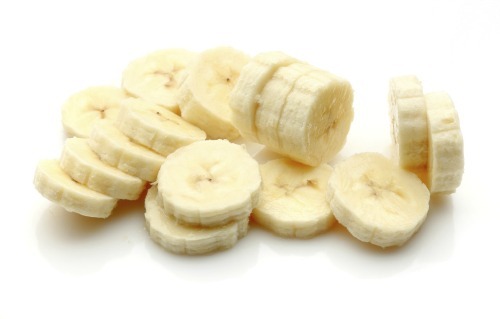 Try this simple recipe for a refreshing breakfast, snack or lunch. It’s delicious. Enjoy! 1.Follow directions on package of Acai for slightly defrosting. I run the packet under warm water. 2.In a blender add the acai puree, avocado, half of the banana, honey and water or orange juice. Whirl until blended. 3.Pour in a small bowl. Top with berries, nuts, coconut, chia seed, flaxseeds, wheat germ if using and the other half of banana that’s been sliced. 4.That’s it, enjoy this healthy recipe and see and taste the deliciousness that everyone’s talking about. Enjoy!